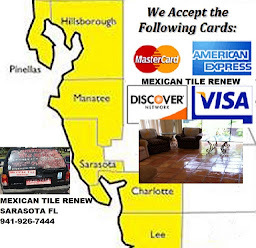 Mexican Tile Renew Sarasota Fl: Mexican Tile Renew at Rental House in Sarasota Linked to the " The Hat Lady" Donna Elmore She Loved Results. 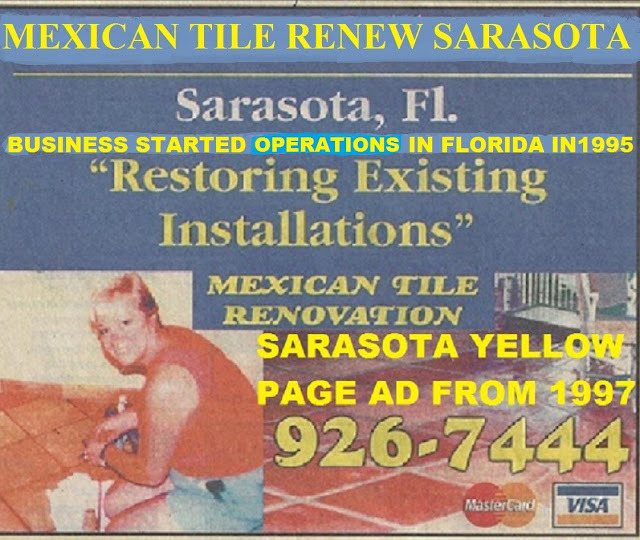 Mexican Tile Renew at Rental House in Sarasota Linked to the " The Hat Lady" Donna Elmore She Loved Results. Donna Elmore is a long time Brooker-Owner in the Sarasota real estate business she contacted us to renew the Mexican tile floors at a rental house in Sarasota Fl that had not been taken care of for at least 12 years, or more. 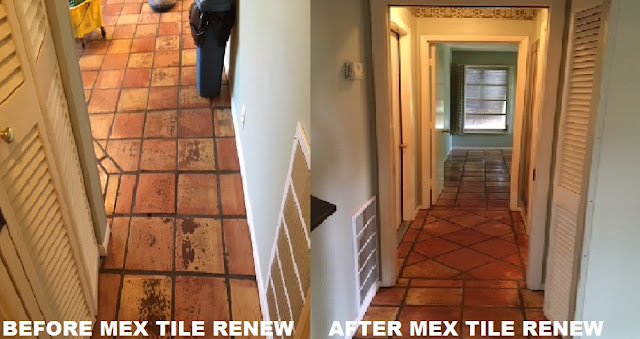 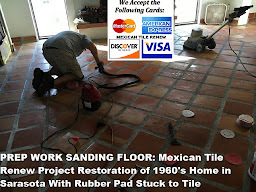 Real Estate 'maven' Donna Elmore called us today and exclaimed that she never thought the Mexican tile floors at her rental house could ever be brought back to such a condition, it's like having a new floor. 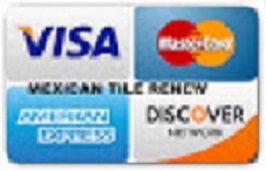 Labels: Mexican Tile Renew at Rental House in Sarasota Linked to the "The Hat Lady" Donna Elmore She Loved Results.